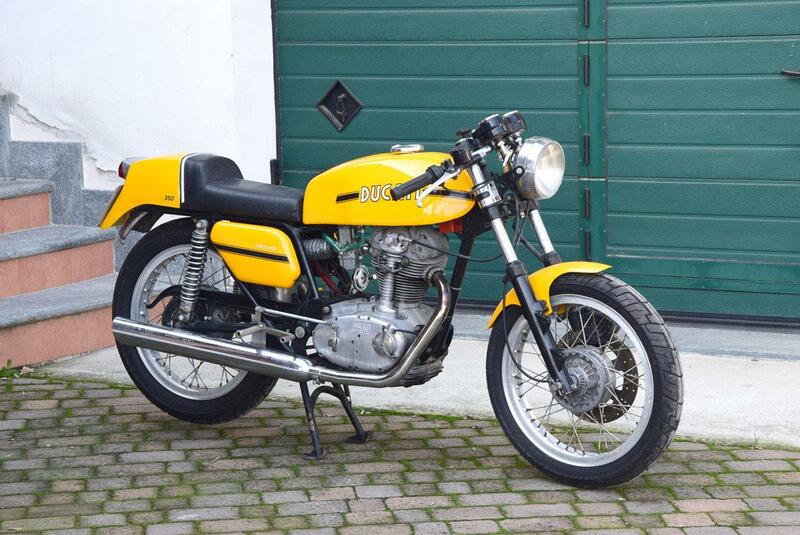 This disc-braked 350 Desmo is in wonderful original and unrestored condition. For the past 20 years it’s formed part of a large collection in Spain. The only non-original part is the speedometer which came from another Ducati 350 Desmo. The 350 Desmo is arguably the most desired and collectible of all Ducati single road bikes.